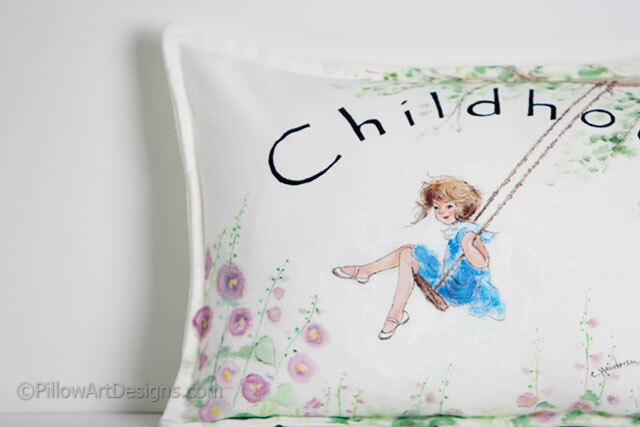 Our childhood memories pillow depicts a young girl swinging on a rope swing, dressed in blue, her light brown hair whisping in the breeze. 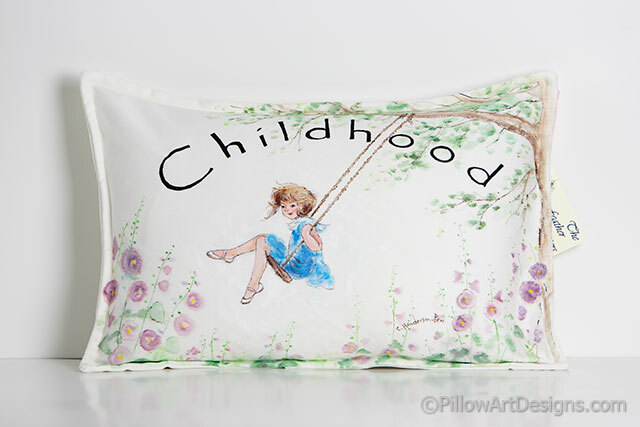 She is surrounded by pink and mauve morning glories, and the word 'Childhood' hand painted in an arch above her. This accent pillow would look lovely in a girl's room or make a wonderful gift for teacher or caregiver. All Feather Sisters original art pillows are painted and signed by Canadian artist Carol Henderson-Pew. 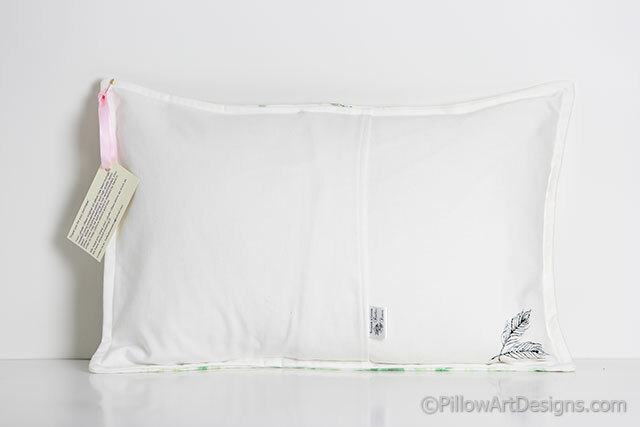 Our Feather Sisters logo is hand painted on the back bottom corner of each pillow. Save on shipping, contact us about purchasing the cover without the insert.